include living space, such as a media room, home office or bedroom add to the square footage listed in advertisements and classified listings. 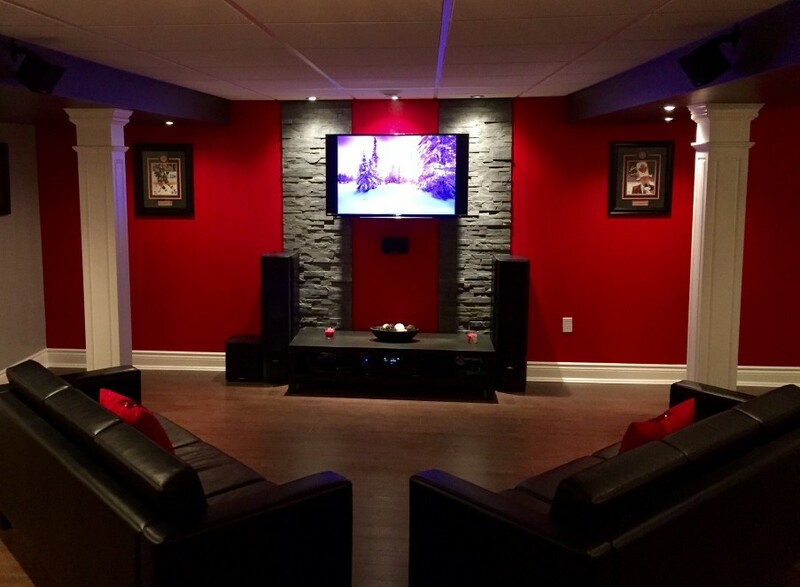 Additionally, selling a home faster because of recent upgrades like a finished basement equates to less cost and effort in terms of marketing and arranging viewings. • Windows, lighting, bars and fireplaces. 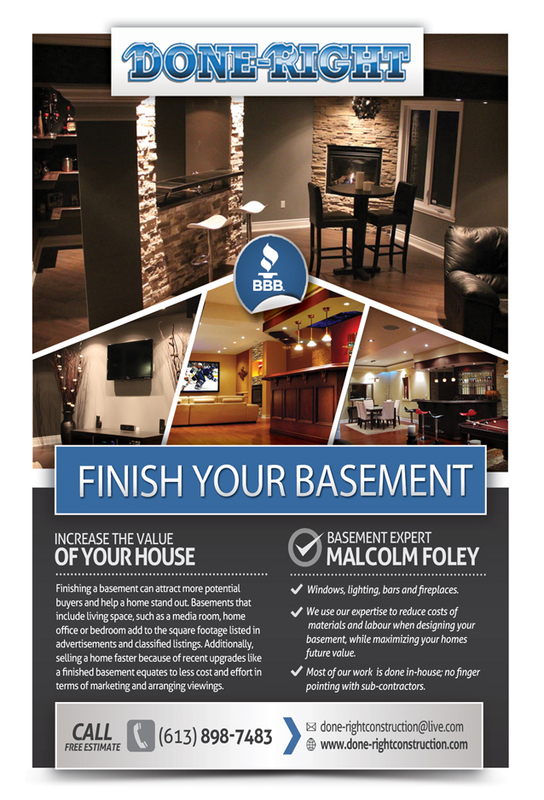 materials and labour when designing your basement, while maximizing your homes future value. • Most of our work is done in-house; no finger pointing with sub-contractors. 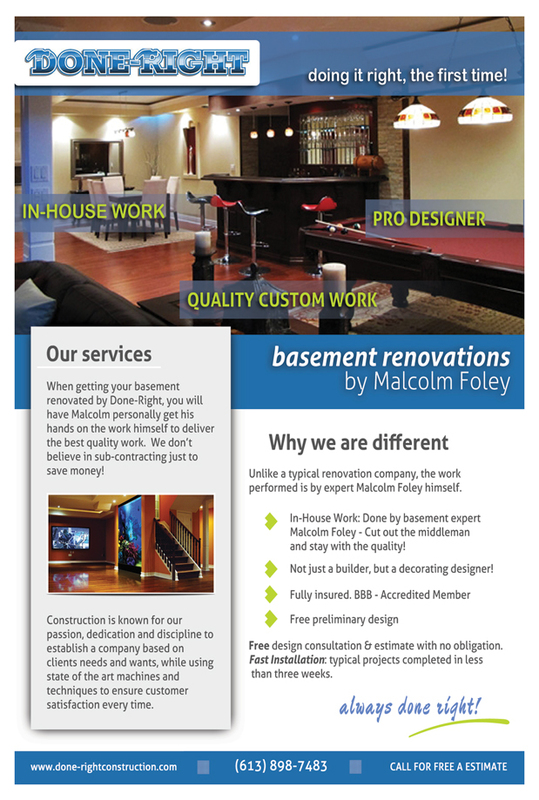 renovated by Done-Right, you will have Malcolm personally get his hands on the work himself to deliver the best quality work. We don’t believe in sub-contracting just to save money!